We find truth in fantastic stories. Are Stories Of Sacrifice Always Stories of Christ? from our network of Christian fantasy creators. Lorehaven serves Christian fans by finding biblical truth in fantastic stories. Book clubs, free webzines, and a web-based community offer flash reviews, articles, and news about Christian fantasy, science fiction, and other fantastical genres. These aren’t typical themes you would find in a Christian story. But this isn’t a typical collection of Christian stories. 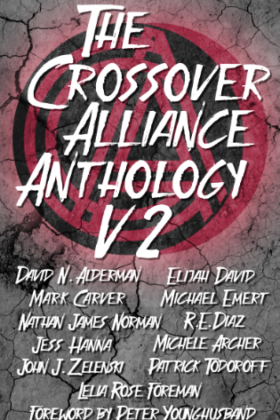 In the Crossover Alliance’s second volume of short stories showcasing edgy Christian speculative fiction, you’ll journey through worlds of fantasy, fight against slavery, face your darkest demons, and confront an overwhelming darkness that only the King’s light can overcome. Just don’t turn away from these tales, because in these stories, light shines brighter in the darkness.